I ain't afraid of no... girls? It made the rounds earlier in the day that Paul Feig, director of the hit comedy Bridesmaids, may have become the surprise frontrunner to direct the endlessly in-production Ghostbusters 3 for Sony. 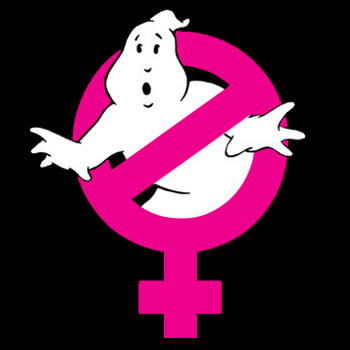 But now Variety and other industry sources are reporting that the project is something else entirely: A reboot of the franchise with a new all-female Ghostbusting team. Originally released in 1984, Ghostbusters was a high-concept comedy about a team of paranormal-investigators seeking a way to expel supernatural intrusions using science and technology rather than spiritual exorcism. They set up shop in New York City as, essentially, "ghost exterminators," only to find themselves facing the minions of an ancient Babylonian demon-god seeking a return to Earth. Dan Aykroyd, Bill Murray, the late Harold Ramis and Ernie Hudson originally starred.